The Magic Cafe - A message board for magicians! Here we are, the team members of The Magic Café. 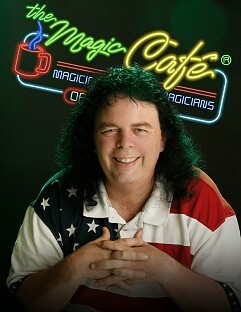 Our mission is to help insure the Café remains a useful resource for magicians of all ages and of all interests. We wanted you to know who are the people behind the scenes. You will never find us hiding behind the guise of "Unknown Assistant", or some other such nonsense. We are proud to be a part of this great forum, and we have made a pledge to help its members enjoy the benefits and friendships that such a meeting place will no doubt bring. Should you have any questions or concerns, please let us know.